STUDENT: Suryaveer Singh/ XII/ RH was selected as the Student this Week. He shared his views on positivity and success. He motivated the students by his mind blowing thoughts. First of all I 'm thankful to the teachers because of whom I am here. 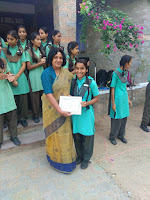 Being the student of the week for the first time in my last year . Being a student I will tell you how a student can work out his problems. 1. If you want fruits improve your roots. Means starting from lowest will take you to the highest. 2. Negative +negative = positive,it is only in mathematics but in real life negative +negative =big negative. So stop heaving negative attitude because your negative attitude will be the reason for the negative attitude of the second person for you. 3. Follow the formula of ask and receive because in life if you don't ask for the thing that you want, you wouldn't get it. It means that you should ask a lot of questions. 4. While seeing me doing my studies many people told me that you will go mad, but whenever people say like this it means you are walking on a right track. 5.Come out of the comfort zone because in life you won't get what you want in life you would get what you really want. 6. At last I would like to say that a person becomes paralyzed by his heart, not by his body. And once he becomes paralyzed by heart it means he has died and his life ends. EDUCATOR: Ms. Urmila Rathore was selected as the Educator this Week. She shared her views on how to overcome examination stress.She advised the students to ask more and more questions. Till they don't ask questions they would never be able to understand the concepts and clarify their doubts. ED: Did you participate in any activities?Mention them. KP: I used to be part of each and every activity. Starting from Singing, Dancing, Display board, Debate, Inter School Debate, Extempore, Elocution, Documentary film, Basketball, Volleyball, Every single athlete Race from 100 m to Relay and long jump as well, and ended up being the Head Girl. KP: C.A. Finals and articleship. KP: Completed B.Com. and am pursuing C.A. as well. KP: What not I have learnt and who cannot learn a good amount of things from this school. I started schooling with this school, jumped off to various other schools and ended up with the same The Fabindia School. I have learnt every new thing inculcated in our school, from being volunteer to the guest and foreigners, being a leader as Head girl with belief and support from the Principal herself and with the lovely charming kids, being strong enough to fight in every competition flowing from the Debater to most talented student of the year, being the toughest one to train the juniors for every new opportunity to go outside and representing school with a single girl with me upfront. Be it the academics or co-curricular, our school has made my wings fly through every now and then. I never heard no to grab the opportunity and seek it and make it remarkable. From being one of the toppers at school to hit the District Rank was a big support from the school. Our school has given me so much that the tiny little alphabets will be less to describe. · To have the freshers party not in the school but an initiative from our batch to go outstation to Jaisalmer and the best part was we were given the opportunity to plan and manage the entire thing for the trip. 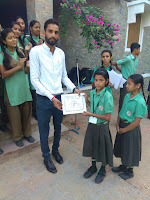 · Title of “Most talented student of the year” when I was in Class X . 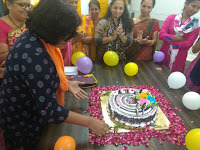 · Running away from the corridors seeking Principal ma’am (Mrs. Parineeta Ranpal) footsteps towards us. · Title of Head Girl when I was in class 11th was a big pat. 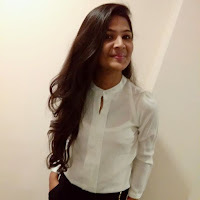 · Documentary Film lead role on Fabindia. · Topped the District in 12th Boards with our School tag ”The Fabindia School” was the benchmark towards my career. · Farewell party is the best part I miss and want to have Reunion soon. · Annual functions craziness for a month and many more. · The best batch I got. The most united batch. KP: Be the part and parcel of every activity from academics to co-curricular and a single student will not deny the fact of being a better human with a lot of humane. ·Make friends in your life, unite the strength and you can’t miss a single messes being cleared in a flow with a big support behind you, let it be any hurdle or a winning opportunity. This is the only phase of life where you see a better light with no dark colors, make it a rainbow and live it to the fullest. · Thank your teachers, junior, seniors and peons. They make you better. NOTE: I thank each and every person of the school. Thanks for tolerating one of the most mischievous student and still supporting to excel in every possible thing. Thank you for giving me this opportunity to express my gratitude towards the beloved School! 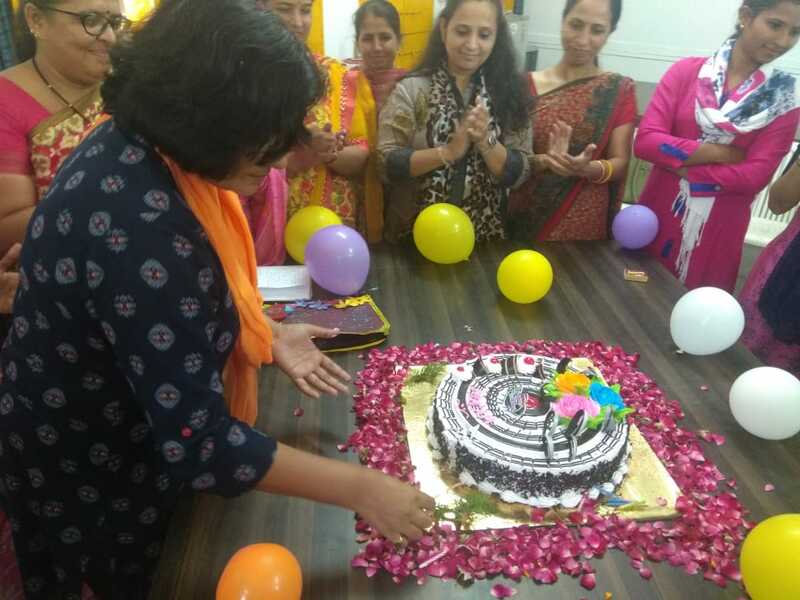 STAFF: The Staff of The Fabindia School were excited and exulted to celebrate their Principal Ms. Rajeshree Shihal’s birthday. We began this special day by a Special Assembly. We wished that God shower his blessings on her and we also thanked God for being gifted with such a dynamic Principal. The day begin with the presenting of a bouquet, card and cutting of the cake. 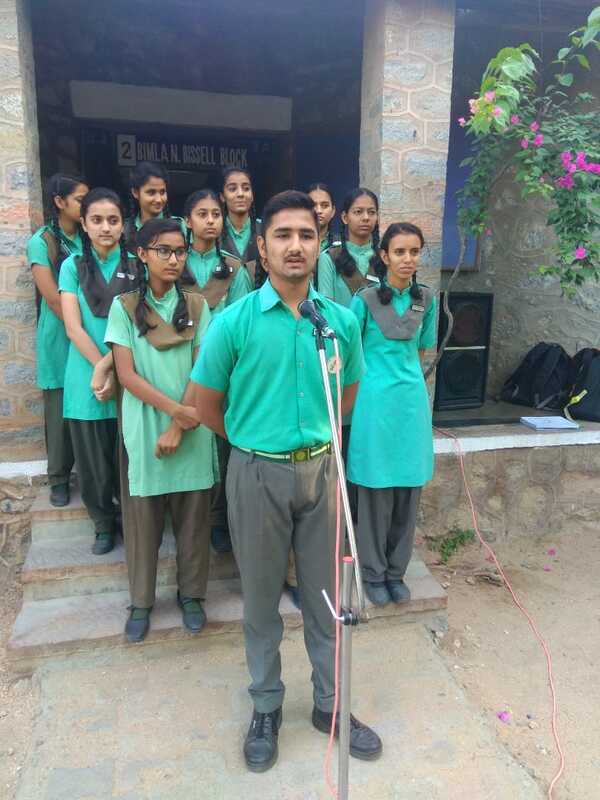 Mr. Ajay Vijaywargi, Mr. Sandeep Singh, Mrs. Prerna Rathod, Mrs. Usha Panwar, Mrs. Sharmila Vijaywargi and Mrs. Bharti Rao spoke a few words in praise of their Principal. Words by Ms. Swati Sood really touched our hearts. . Music teacher's song was rocking. 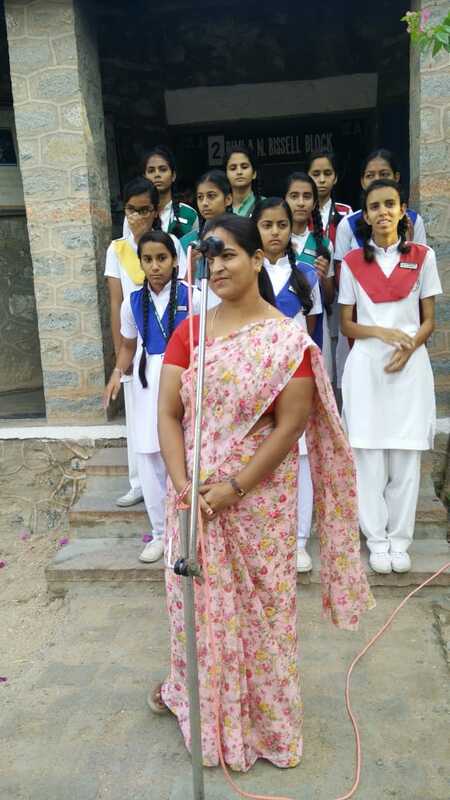 Mrs. Rajeshree Shihag in her message focused on growing each day with a new experience in life and thanked everyone for their cooperation to run the school smoothly. Our Principals blessings and praise added a glint to the day. 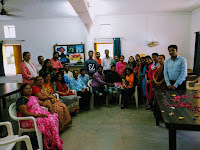 Friday, 28 September : Special Assembly was organized on the occasion of Principal Ms. Rajeshree Shihag’s birthday. The program started with the birthday song sung by Music Teacher Mr.Kishore Kumar. Madhavi Sompura/ VI, Kesar Sompura/ V sung a birthday song. . Meet Soni/ IX & Chandresh Choudhary/ XII recited a poem made by them. Students of each class presented Ma’am with cards and gifts. Sweets were distributed by Ma’am in all the classes and among teachers too. Tuesday, 25th September- Thursday, 27th September: Students were awarded with certificates for securing I,II and III position in Co- curricular activities which were organised during the month of April- September 2018. The activities conducted were both Inter House and Intra Class. Congratulations to all the winners. Monday, 24th September- Friday, 28th September: Revision was taken in all the classes and in all subjects for the commencing Half Yearly Examination. Computer Practical was conducted in all classes. Students were seen flocked around teachers to get their problems solved. Wednesday, 26th September- Friday, 28th September: Oral Examination for Pre- Primary and Primary classes were conducted before their main written papers. 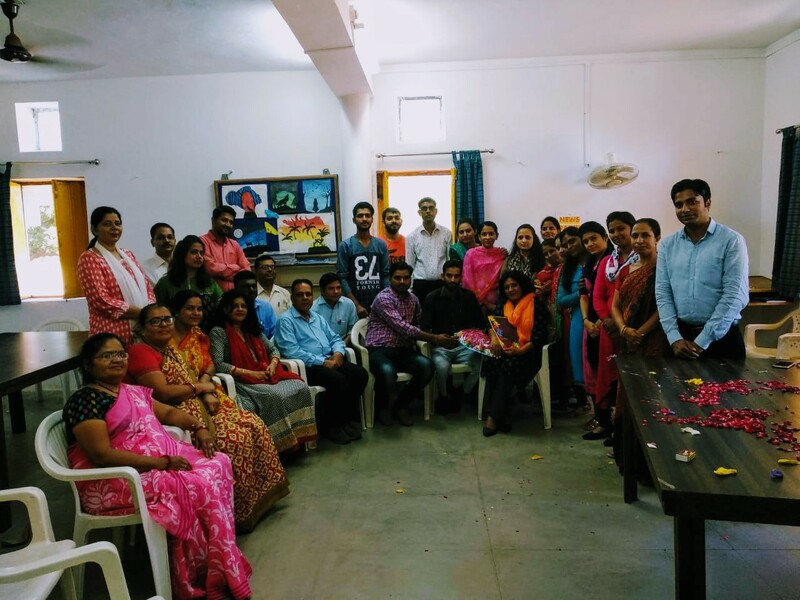 Saturday, 29th September: Half Yearly Written Papers were conducted for Class III-XII. In the morning students were seen a little nervous. They tried to solve their difficulties and so flocked around their respective subject teacher. Best of luck for your exams! Published by The Editorial Board:Mrs. Bharti Rao, Mr. Krishan Gopal,, Ms. Swabhi Parmar, ,Mr. Jafar Khan, Harsha Suthar, Anumesh Rao, Ipshita Rathore, Archana Koratkar, Meenakshi Choudhary, Vinita Sirvi, Charu Vaishnav, Rohit Vaishnav & Ronak Devda.